T-Mobile is bringing the holiday cheer a tad early this year, with the announcement of two different offerings for folks on a Simple Choice plan. Starting today, users can get unlimited worldwide landline calling for just $5 a month, for all lines on the plan, up to 10 lines. Additionally, for $10 a month on top of your existing plan, the whole family can get unlimited calling to mobile phones in more than 30 countries and 1,000 minutes to mobile phones in Mexico, on top of unlimited calls to landlines in 70+ countries. Now that’s a bargain. T-Mobile estimates this to be a grand total of about $105 a month for a family of four when compared to similar plans from Verizon ($150) and AT&T (180). Here is a graph for all of you visual learners. The full press release can be seen below if you need additional information. For only $5 a month, you can add unlimited calling worldwide – one low price covers everyone on your account. 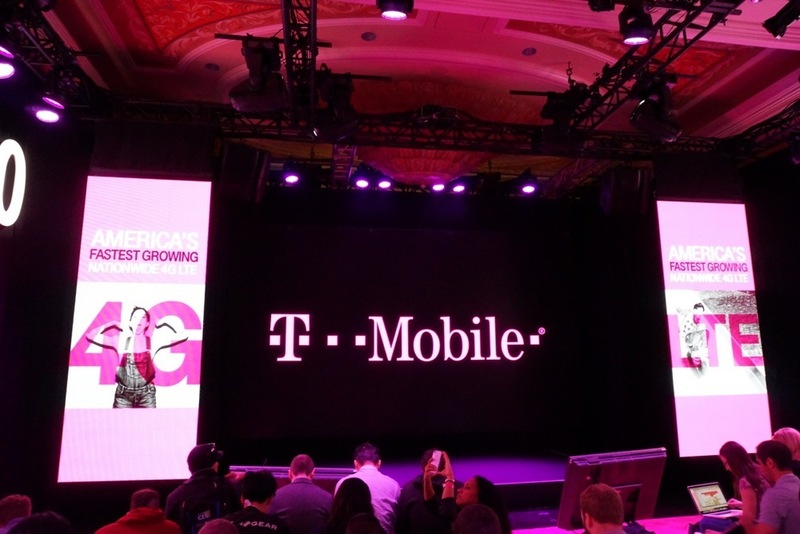 Bellevue, Washington — November 19, 2014 — For anyone and everyone with family and friends abroad, T-Mobile (NYSE: TMUS) just gave you and yours the gift of connecting more easily and affordably this holiday season and for years to come. The Un-carrier™ announced its updated Stateside International Talk plan, and starting today, everyone on your Simple Choice™ plan can enjoy unlimited calling from the U.S. to landlines in more than 70 countries worldwide for just $5 a month for the entire account. That’s right. Per account – not per line. So, $5 a month covers your entire family up to 10 lines. Or, starting today, for just $10 per month, the whole family can get unlimited calling to mobile phones in more than 30 countries and 1,000 minutes to mobile phones in Mexico, on top of unlimited calls to landlines in 70+ countries. That’s a real savings over the current rates ($10 and $15 per month per line for the landline and landline plus mobile calling respectively), especially for families. In fact, a family of four can save $420 a year compared to paying per individual. This offer starts today and goes through the end of the year − but once added to your account, everyone on your account with a Simple Choice plan can enjoy the benefits for as long as you keep Stateside International Talk on your account. And, of course, all of this comes right on top of your existing Simple Choice plan benefits, like unlimited texting from the U.S. to nearly every country abroad at absolutely no extra charge. There are big differences between the Un-carrier and the old carriers in costs and benefits that you can see side-by-side in the chart below with the Stateside International Talk $5 option. Combine the amazing value of T-Mobile Simple Choice plan for families together with groundbreaking Un-carrier benefits, and it’s clear T-Mobile is hands down the best choice for staying in touch and staying connected inside and outside the U.S. during the holidays and all year round. With T-Mobile, for example, you’ll never need to purchase an expensive supplemental international plan (like with the other guys) when you’re traveling outside the U.S. All Simple Choice postpaid customers get unlimited data and texting at no additional charge − and flat-rate calls for just 20 cents a minute − while traveling in more than 120 countries and destinations around the world. And, as an Un-carrier customer, you’ll be able to stay connected in-flight, too. Because only T-Mobile customers can send and receive text and picture messages as well as visual voicemail using their own smartphones on all Gogo-equipped flights originating from the U.S. And, once again, that’s available to T-Mobile customers at absolutely no additional cost.